Pauline Teresa Rice, 84, passed away Friday, January 25, 2019 in her hometown of Oneida. 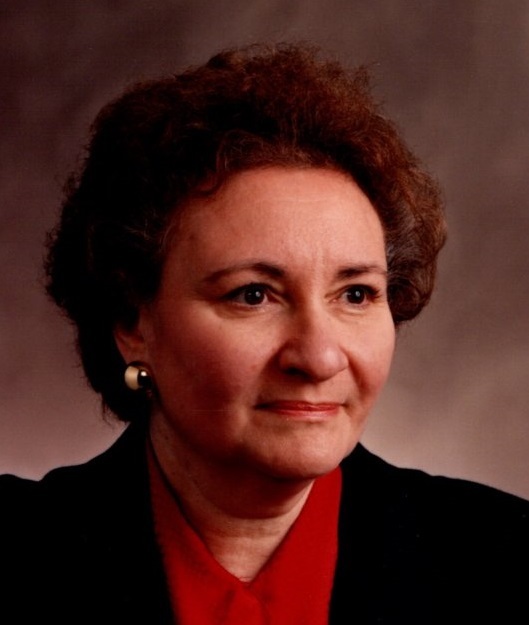 Born February 21, 1934, into a loving family in Oneida of seven sisters and two brothers, she was the daughter of the late John and Minnie Lumbrazo Magliocca and was a graduate of Oneida High School. On July 20, 1957, at St. Joseph’s Church, Oneida, she married Francis “Babe” Rice. She now joins her husband who passed away on January 4, 2002. For many years she was employed as the secretary to the Superintendent of Schools of the Oneida City School District, retiring in 1989. She also worked as a secretary at Smith-Lee Co., Inc. of Oneida, the Don Kingsley Real Estate Office and as a temporary at the Madison-Cortland ARC. She was a lifelong parishioner of St. Joseph’s Church in Oneida, with memberships in the Churches Senior Group, Bereavement Committee, Gift Shop, Religious Education Program and was appointed as the first women trustee of the Parish for a ten year period. She served as President of the St. Elias Society for the Oneida, Canastota and Rome area members as a descendent of the Founders of the Society. Mrs. Rice also served as a committee member of the Oneida City School District Educational Foundation. She is survived by her son and daughter-in-law, John F. Rice and Wendy Morosoff and her beloved grandson Daniel Ian Rice, all of Mt. Kisco; two sisters, Marie Magliocca and MaryJanet LaPlante, both of Oneida; and several nieces and nephews. She was predeceased by four sisters, Frances Magliocca, Elizabeth Gatto, Helena Valesky and Margaret Magliocca; and two brothers, Joseph and John Magliocca. With a lifetime of Charity, compassion and love for family and friends, Pauline will always be missed and fondly remembered. A Mass of Christian Burial will be celebrated on Tuesday at 10 am at St. Joseph’s Church, Oneida with Rev. Richard J. Kapral officiating. Interment will be in St. Patrick’s Cemetery, Oneida. There are no calling hours.